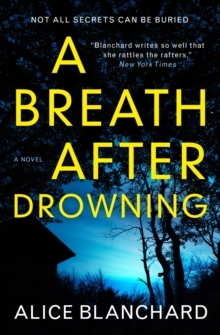 The stunning new psychological thriller from the award-winning author of Darkness Peering and The Breathtaker. She'll need all her wits about her, and then some, to eventually do battle with one of the most memorable genre villains since Hannibal Lecter. - Wall Street Journal Sixteen years ago, Kate Wolfe's young sister Savannah was brutally murdered. Forced to live with the guilt of how her own selfishness put Savannah in harm's way, Kate was at least comforted by the knowledge that the man responsible was on death row. But when she meets a retired detective who is certain that Kate's sister was only one of many victims of a serial killer, Kate must face the possibility that Savannah's murderer walks free. Unearthing disturbing family secrets in her search for the truth, Kate becomes sure that she has discovered the depraved mind responsible for so much death.